If you tend to keep tabs on what is trending, you must have heard of or at least seen someone vaping. It has been highly recommended as the ‘healthy’ alternative to smoking cigarettes (not everyone agrees). Now, vaping is becoming increasingly popular amongst medical cannabis circles due to its effectiveness in delivering cannabinoids such as CBD oil into the body . That is right, pills and oral tinctures aren’t the only way to take CBD – you can also vape CBD oil. Many people opt for vaping over other methods of administration due to a variety of reasons, whether practical or personal. For instance, some people choose to vape since it offers fast effects compared to other methods of consumption such as ingesting CBD. For others, vaping CBD oil feels more authentic while some dislike the taste or consistency of CBD drops, hence preferring to vape it. Whatever your reasons for choosing to vape CBD oil, it is certainly a popular option for those wanting to maximize their CBD experience. Nonetheless, for those who are green to this new trend, you are obviously curious about this whole vaping business and what it entails. 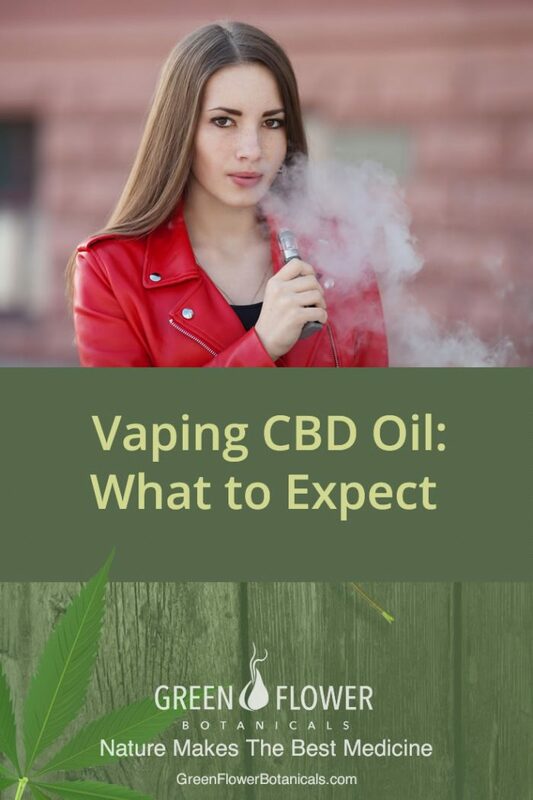 More importantly, what are the effects of vaping CBD oil? We will cover all that and more below. As long as it is extracted from the hemp plant (as opposed to the marijuana plant), CBD oil can be purchased without a prescription in all 50 states. This is because CBD from the hemp plant contains less than 0.3% THC, which is negligible and hence non-intoxicating. What differentiates CBD vape oil from its oral alternative is its concentration as well as delivery method. Normally, to get a vape oil, it is as simple as buying a vaporizing kit from a trusted CBD company. They will send you a vaporizing kit with cartridges or refill bottles containing the CBD vape oil. The various CBD retailers in the market have gone full out to make the vaping experience impressive to their customers. Consequently, you will find all kinds of CBD oil infused with fruit flavors such as strawberry, apple, etc., which deliver the necessary health benefits and also taste good. What is a vape pen or vaporizer? A vaporizer is simply a device used to heat its contents and convert them into vapor for inhalation. There are many types of vaporizers in the market with all kinds of features. Some are designed for vaping oils, others for wax or even for vaporizing plant matter such as cannabis and other dry herbs. Some expensive models are able to vaporize all the three substances. Nonetheless, if it is your first time vaping, the best option is to go slow and start with a vape pen. Vape pens are small, portable cheap and easy to use. Despite their various sizes and appearances, vaporizers basically work using the same principle and share the same functional components. They might be small, but the technology behind them is complex. First is the mouthpiece. Obviously, this is the part that goes into your mouth during inhalation. In some models, inhaling the vapor automatically turns on the device. The mouthpiece is often attached to a small tank for holding the CBD vape oil. This could either be a refillable tank or a slot for inserting a cartridge containing CBD oil. This is the oil to be heated into vapor. Below the tank is normally what is known as the atomizer. The name might sound much cooler than what it actually does. This is simply a small electric heater that vaporizes the oil. Some vaporizers allow the user to set the temperature while basic models have a pre-set temperature. What is the best temperature for vaporizing CBD oil? If you own a vaporizer with an adjustable temperature setting, you must be lucky. Also, you might be curious to know the perfect temperature for vaporizing your CBD. According to a study published by BioMed Central, CBD can be vaporized at temperatures between 410°F to 446°F (210°C and 230°C). They also found that you yield higher concentrations of CBD vapor using the higher temperatures (446°F) . Most vaporizers are fitted with sensors that check whether the liquid is hot or the device is in use. Depending on your model, you can activate the vaporizer by simply inhaling. Other models use a button that you have to press to activate the heating element while inhaling. Finally, all vaporizers need a power source, and like you guessed, they are fitted with a lithium ion rechargeable batteries. Normally, your vaporizer kit will come with USB chargers that you can use with a computer or an adapter. What does vaping feel like? One of the most commonly asked questions from people who are new to vaping CBD is: how will vaping CBD make me feel? In the culture we live in, most people are familiar with the effects of various drugs, whether stimulants, depressants or even herbal remedies. We know how these substances affect our minds and bodies, as well as how and when to dose for the most desirable effects. You will be surprised to find out that with CBD, it is different. For instance, after vaping CBD oil for anxiety, you will feel the absence of anxiety and nothing more. The anxiety will not be replaced by a happy feeling – but you will be more likely to be jolly naturally. In the case of insomnia, CBD will help you get sleep without making you feel extra sedated. In the case of mental fog, CBD helps bring alertness and clarity. Because CBD is a cannabinoid and is extracted from the Cannabis plant, many people mistakenly assume that it will get them intoxicated. Like in the case of THC, CBD’s psychoactive sister. Nonetheless, this is not true. You see, CBD works by promoting homeostasis throughout the body and brain. Put another way, CBD eliminates whatever barriers to wellbeing so that the mind and body can function at their optimal level. Therefore, do not expect to feel high, unnaturally relaxed or happy after taking CBD. CBD enables us to hit the reset button and return to that grounded and balanced state. The biggest and most practical advantage of vaping CBD is that the onset of the effects will be felt much faster compared to oral or sublingual administration. Vaping bypasses the lengthy digestive system by transporting the CBD straight to the lungs and into the bloodstream . When ingesting, CBD has to pass through the digestive tract and then transported to the liver where it is further broken down. As a result, oral ingestion takes 2 hours for the effects to kick in. Moreover, a huge chunk of the CBD is lost during the breaking down processes. Sublingual administration (placing CBD under the tongue for at least 90 second) is faster than oral administration but still not as fast as vaping. Vaping is also easy to dose, once you establish your minimum baseline dose, and very convenient. With the size of a pen, you could go with your vaporizer pretty much anywhere. The one disadvantage of vaping is that the effects do not last as much as with oral administration. For most users, this is not an issue since they can vape continuously throughout the day. When all is said and done, how you consume CBD is a matter of preference. Some will prefer edibles while others, vaping. If you are still not settled on which method would work best for you, it will not hurt to try the various methods and see which you one you like best. Lastly, remember that even though CBD has been proven to be safe and without adverse side effects, it is always idea to first check with your doctor before medicating. Also, a 2017 study found almost 70% of the cannabidiol products in the online market to be mislabeled. This worrying trend means that there are many products with misinformation with regards to the concentration as well as content of CBD . To be on the safe side, only buy from reputable companies that can provide you with a certificate of analysis (COA) from an independent laboratory. Also, ensure that the contents are well labeled, including the milligrams of CBD per container. N. Solowij, S. J. Broyd, H. H. v. Hell and A. Hazekamp, “A protocol for the delivery of cannabidiol (CBD) and combined CBD and ∆9-tetrahydrocannabinol (THC) by vaporisation,” 16 October 2014.  M. O. Bonn-Miller, M. J. E. Loflin, B. F. Thomas, J. P. Marcu, T. Hyke and R. Vandrey, “Labeling Accuracy of Cannabidiol Extracts Sold Online,” PMC, vol. 318, no. 17, p. 1708–1709, 7 November 2017. A. Hazekamp, M. A. Ware, K. Muller-Vahl, D. Abrams and F. Grotenhermen, “The Medicinal Use of Cannabis and Cannabinoids—An International Cross-Sectional Survey on Administration Forms,” Journal of Psychoactive Drugs, vol. 45, no. 3, pp. 199-210, 2 August 2013.